If you have answered Yes to 1 or more items in the checklist below, this may indicate an opportunity to improve the growth, development and function of you or your loved one. We would encourage you to schedule a caring & comprehensive assessment at Little Bird Pediatric Dentistry by calling 905-876-2473 (BIRD) or through the “Schedule an Appointment” button on our website (www.littlebirddental.ca). *For specific findings, click on “” to see a picture example and the reasoning (or why) behind. *For specific findings, click on to see a picture example and the reasoning (or why) behind. Why: At rest (when not eating or speaking, etc. 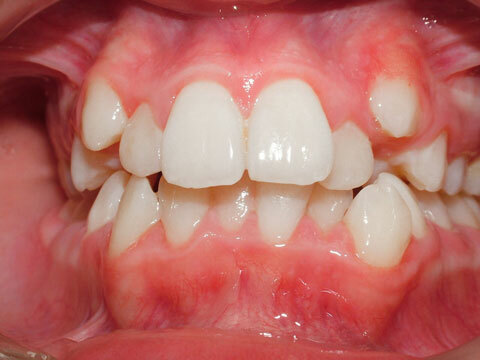 ), our mouths should be closed with lips sealed, and teeth slightly apart (~3-4mm). If mouths are open routinely, it increases the tendency to mouth breathe. Learn more about the importance of nasal breathing. Why: Bags or dark circles under eyes are due to venous pooling, and is a sign that a child is not attaining a necessary length of quality (deep) sleep. This may be found in association with open mouth posture (mouth breathing while sleeping), snoring and/or heavy breathing (aka. breathing disordered sleep). Please see sleeping section below for further signs and symptoms that you can assess. Why: One of the possible reasons that should be investigated if you gag easily and/or have difficulty swallowing pills is if you have a restricted/tethered tongue (tie) and/or compromised swallowing pattern (tongue thrust). As the tongue’s ability to function optimally is compromised, you may gag more easily and/or have difficulty swallowing pills. 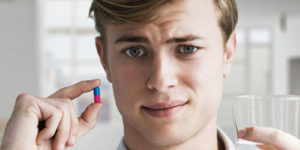 Upon attempting to swallow pills, you may say, “the pill keeps coming forward, it won’t go back”. 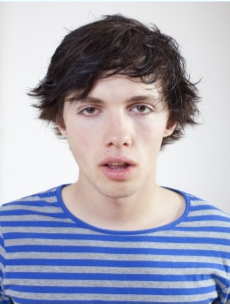 Why: There are many reasons for picky eating, however one that must not be overlooked is if you have a mouth-breathing (open mouth) tendency, commonly seen in conjunction with a restricted/tethered tongue (tie) and compromised tongue thrust swallowing pattern. 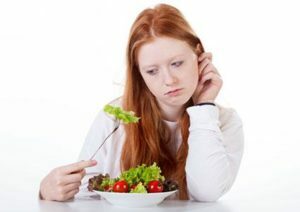 In this case, the individual will tend to prefer a soft food/processed or refined diet that does not require much chewing as it is very challenging to breathe and eat with our mouths (humans are designed to breathe through our noses and eat with our mouths). Recall the last time you were sick with a congested nose, your diet too, likely consisted of soups, eggs, and soft foods. Another possibility is if your diet has been limited to soft foods that require minimal use of your muscles for chewing, and/or do not cause any muscle tiredness leading you to have a compromised preferential side of chewing. In both of these cases, a soft food diet may have become a preference of ease. A diet that requires you to chew using your muscles and both sides of your mouth (right and left) for a minimum of 10 minutes a day is recommended for optimized health. Why: Good, correct posture requires amongst other aspects, that your tongue’s position at rest is up against the roof of the mouth (palate) just behind your upper front teeth. 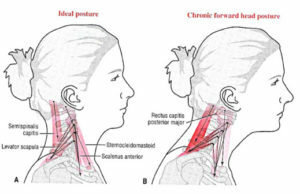 One of the possible causes of forward head posture may be if the child has a tongue restriction (tie) and/or the tongue rests downwards towards the floor of mouth. For every inch that your ear is in front of the middle of your shoulder, 10 pounds of weight is added to your cervical (neck) spine. Over time, this weight may reveal itself as neck pain, stiffness, and/or neck spasms in addition to headaches and/or sore eyes. Why: When sleeping our mouths should be closed with lips sealed, guaranteeing that we are breathing through our noses. Learn more about the importance of nasal breathing. If mouths are open (whether due to muscle memory, tongues trained to be down, tongue and/or lip tie, nose obstruction, etc. ), it increases the likelihood of mouth breathing. Mouth breathing, snoring and/or heavy breathing are all possible audible signs of a compromised airway. In order to achieve optimized growth, development and sleep, the lips must be sealed at rest with the tongue up against the roof of the mouth (aka. palate). 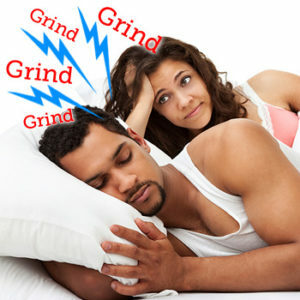 Why: Teeth grinding, restless sleep and/or sweating heavily can all be possible indications that your sympathetic nervous system (fight or flight) is being activated causing micro (small) arousals (that typically do not wake you) in attempt to maintain your airway (breathing). If this is occurring, you may not be achieving consistent deep sleep with full muscle relaxation (parasympathetic nervous system – rest and digest activation) that is necessary for optimized growth, development and function. Why: Amongst a list of possible causes that includes stress, etc. Restless sleep, and/or regular nightmares or night terrors may also be an indication that your sympathetic nervous system (fight or flight) is being activated causing a macro (large) arousal (that will wake you) in attempt to re-establish and maintain their airway (breathing). We must remember that the number one goal of our bodies is to keep us alive – keep us breathing; therefore if there is any airway compromise while asleep, our bodies will be triggered to awaken. If this is occurring on a regular basis, you may not be achieving consistent deep sleep with full muscle relaxation (parasympathetic nervous system – rest and digest activation) that is necessary for your optimized growth, development and function. 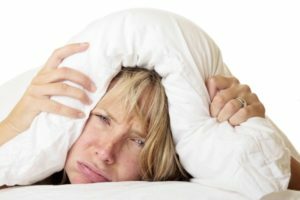 Why: Amongst a list of possible causes, awakening more than once per night may also be an indication that your sympathetic nervous system (fight or flight) is being activated causing a macro (large) arousal (that will wake you) in attempt to re-establish and maintain their airway (breathing). We must remember that the number one goal of our bodies is to keep us alive – keep us breathing; therefore if there is any airway compromise while asleep, our bodies will be triggered to awaken. Why: If your tongue rest posture and function are optimized along with lips sealed, nasal breathing, and teeth slightly apart (~3-4mm), your palate (roof of mouth) will likely develop to be flat and wide, allowing for adequate space for teeth to erupt (without crowding). However, if one of these elements is not followed (i.e. 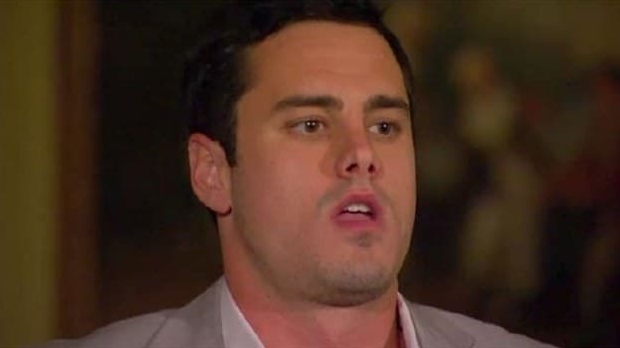 tongue resting low in the mouth, compromised tongue thrust swallow, open mouth tendency and/or mouth breathing), the palate (roof of mouth) will likely develop to be narrow, high arched (can fit a thumb up in the area) without adequate space for teeth to erupt, resulting in crowding. All content on www.littlebirddental.ca and on this checklist, including medical opinion and any other health-related information, are for informational purposes only and should not be considered to be a specific diagnosis or treatment plan for any individual situation. Use of this information does not create a doctor-patient relationship. Always seek the direct advice of a doctor in connection with any questions or issues you may have regarding your own health or the health of others.